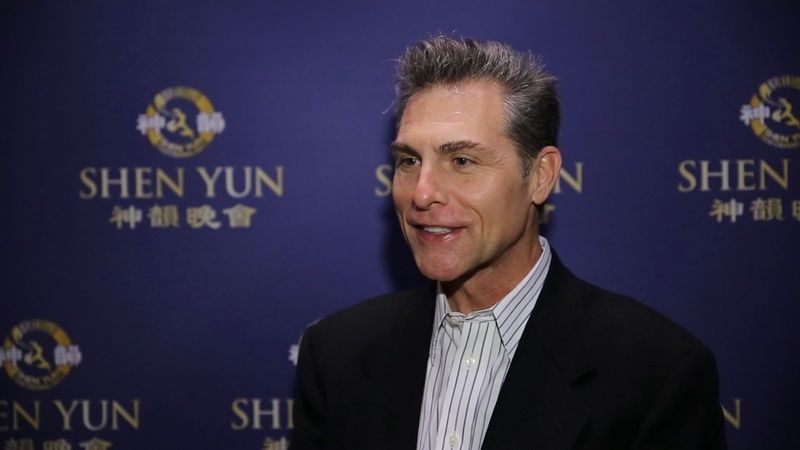 LONG BEACH, Calif.—Actor Alain Azoulay said Shen Yun Performing Arts left him with “a lot of inspiration” at the Terrace Theater on Sunday, Feb. 8. Alain Azoulay is an actor and producer originally from Casablanca, Morocco. He starred in feature films Boys of Abu Ghraib, Speed Dragon, and played Amy Winehouse’s father Mitch Winehouse in Amy Winehouse: Fallen Star. He also appeared in a record number of films in the 2013 Cannes Film Festival with five shorts and one feature film. 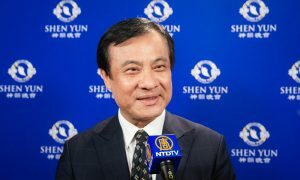 New York-based Shen Yun is now in its ninth year of a Chinese cultural renaissance—the revival of 5,000 years of the true, divinely inspired culture of China, according to the company website. 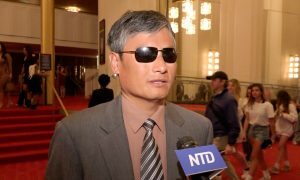 A Shen Yun performance features the rigorous and expressive art form known as classical Chinese dance, to tell stories from ancient Chinese legends to the modern day. A live orchestra with both Eastern and Western instruments balances the visuals perfectly, while stunning costumes, vibrant backdrops, and musical soloists complete the experience. Mr. Azoulay also loved the background special effects, which allowed the dancers to appear to leap into the backdrop and fly off into the air. “It is a little bit of a magic show too,” he said, also commenting that the unity and discipline of the dancers was wonderful to watch. 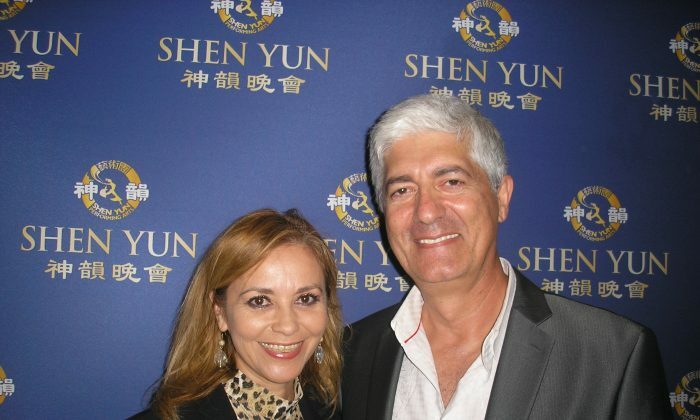 Shen Yun left Mr. Azoulay with some profound emotions. 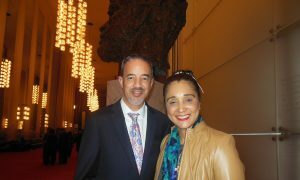 Audience member Philip Hoffman, an art director for television and film productions, was amazed by Shen Yun Performing Arts. 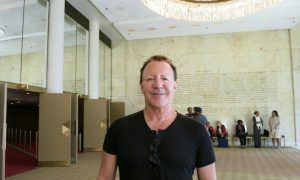 Mr. Hoffman said most of his work is in live television broadcast, so he understood the difficulties behind the performance. With his artistic eye, Mr. Hoffman was also struck by the costumes and props, such as one dance number’s colorful handkerchiefs, which the dancers spin and toss into the air with ease. He said it was extraordinary and just outstanding. He also said the dancers seemed to be “lighter than air” and very graceful. 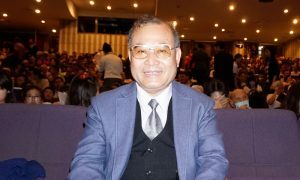 “I loved the ethnic tracing through all of the performances,” said Mr. Hoffman of the traditional Chinese cultural elements. 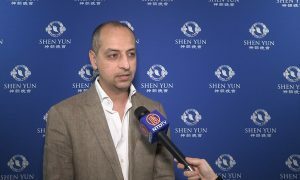 Although Shen Yun cannot be seen in China today, the non-profit performing arts company is committed to bringing China’s noble traditions and values to the world. 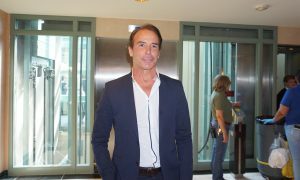 The company produces an all-new program every year. “I would recommend the show to everyone,” he said.